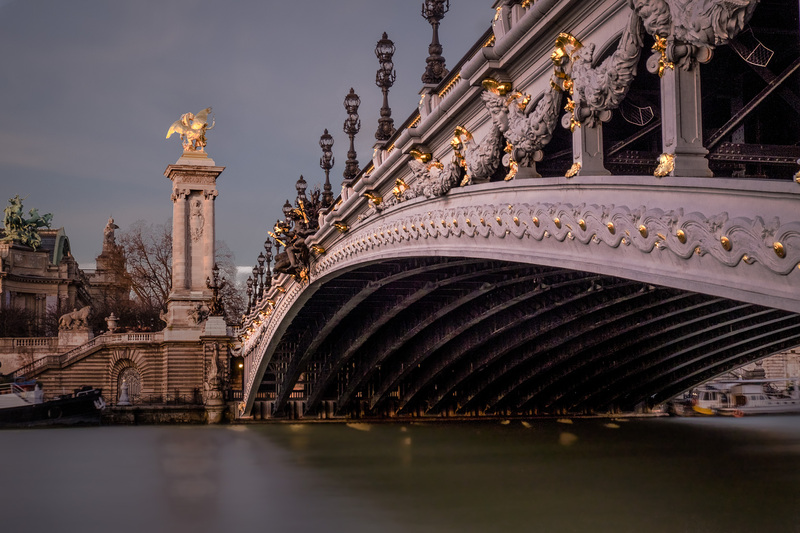 Today’s photo:Pont Alexandre III. A long exposure shot of the Seine at the Pont Alexandre III, a wonderfully ornate bridge over the Seine by the Grand Palais in Paris. I liked the way that the low evening sun lit up the gilded parts of the bridge and the statue on the far side. Taken with my Fuji X-T1 on a rickety Joby mini tripod. Given the circumstances, I’m quite pleased with the way it turned out.